ART OF TRANSIT: Blue Line leaving San Pedro Station. Photo: Steve Hymon/Metro. This is bureaucratic but important. What is a density bonus? In as few words as possible: it allows developers to build more units if they agree to make some of them ‘affordable’ to those with lower incomes. Problem is, data suggests that developers in L.A. could be building twice the number of affordable units under the law that they could. And that’s a tough nut to swallow for many, given that Los Angeles rentals and real estate prices have been steadily rising for the past several years. It’s also an issue for the transit minded as many new developments in Los Angeles are near existing rail lines, future rail lines or high frequency bus lines (run by Metro and muni operators). This isn’t necessarily easy reading. But it’s important. Part five floats an interesting idea that would have developers contribute to a fund to buy and maintain existing affordable units instead of paying for new ones. What about requiring developers to include affordable units. That has been in legal question, but hot off the presses…. The opening photograph by Monica Almeida nails it with a hipster pushing his bike and homeless man pushing his overfilled grocery cart on a downtown L.A. street corner. The story is good, too — catching up with the recently reported news that our region’s homeless population is estimated to have increased 12 percent in the past two years. I don’t think that’s news to anyone who travels around our region. It’s pretty obvious there are more homeless in our parks, river channels and on sidewalks — and, yes, even on transit at times. I think the most interesting part of the story is the disagreement over the cause. Some people say the increase is due to the rise in the cost of housing. Others point to the good weather here — although there’s no explicit mention of the drought and relatively dry rainy seasons here versus the brutal cold and snow back east. Still others say that the problem is too many mentally ill people and/or drug addicts out there, with too little help and too little legal ability by police to force them from sidewalks. Tough, tough issue. Obviously not a transit story per se, but one that impacts many people in the region, housed and not housed. As for the argument that gentrification is causing the recent surge in homeless, I’m a little skeptical and would like to see more evidence. Your thoughts? The answer in my view: of course not — at least not on its own. Although light rail certainly can supply higher frequency and more high capacity service in some urban corridors. That said, interesting story looking ahead a few decades when America’s population is closer to 400 million and many more people presumably have to get to work. Nationwide data isn’t always so rosy when it comes to public transit improvements. A 2014 analysis from New Geography argued that so-called “legacy cities” — that is, cities with already existing strong public transit systems, such as New York, Chicago, San Francisco, and Washington, DC — accounted for 77 percent of public transit commuting in urban areas nationwide. Newer, less transit-friendly cities accounted for only 12 percent. Bottom line: It’s hard to re-engineer places that in recent decades have largely been built around the automobile. The good news is that Western urban areas, including the L.A. region, are making some progress. Plus there’s this: the alternative — doing nothing and accepting the status quo — doesn’t seem super smart. 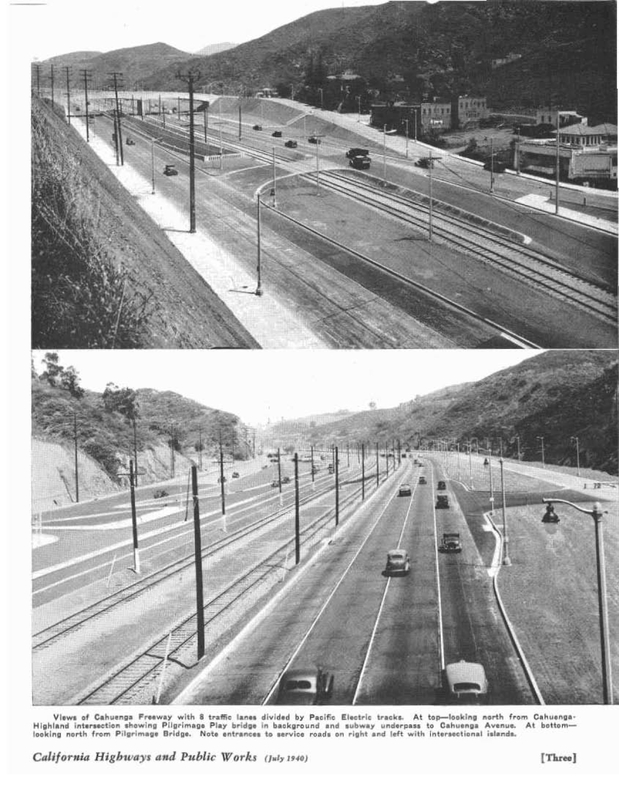 The portion over the Cahuenga Pass opened 75 years ago today. The idea was to relieve a tough bottleneck in traffic over the pass between Hollywood and the emerging San Fernando Valley. The streetcar tracks were out of service by the mid-1950s and it wasn’t until 2000 that the Red Line subway under the pass opened to North Hollywood. Michael Whyte. Photo: Zocalo Public Square. •Things to listen to on transit: the latest Judge John Hodgman is a very good one and involves the issue of holiday creep (holidays being marketed and celebrated earlier and earlier each year). A wife sues her husband, a Santa Claus for hire, asking the Judge to order him to keep his Santa activities and beard restricted to November and December. As hilarious as this episode is, I’m not sure it’s quite unrelentingly funny as the episode featuring yours truly and my buddy Scott. •Marc Maron has a good interview with Henry Winkler on his podcast. Some of it is about the Fonz, a lot of it isn’t. Warning: it’s Marc Maron, so expect a lot of very R-rated language. Metro is Official Transit Provider™to World Games! Is the Metro Rapid 720 L.A.’s most delicious bus line? 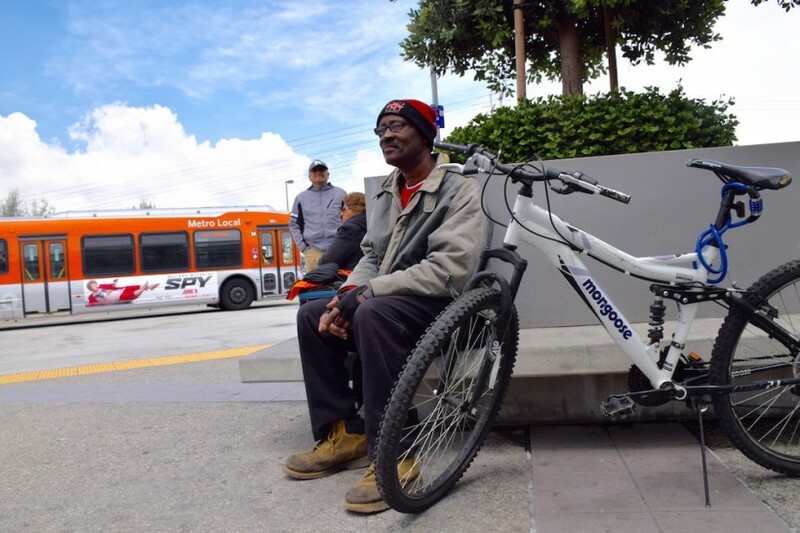 Rise of homeless in LA? Loss of jobs in LA due to bad business clImate and high business taxes. Doesn’t help LA is hardly manufacturers anything anymore and the vast majority of jobs in LA are minimum wage earning service sector jobs. And even that’s going to go away and more jobs replaced with self service kiosks once minimum wage goes up to $15/hr. 60% of LA are renters, rents keep going up, no jobs, get kicked out into homelessness. Rich pseudo-liberal hipsters who pretend they’re for the poor then gentrify the area with Kobe beef burgers and $10 lattes. Doubt “many” in the Millennial generation cares. High density lifestyle is accepted by many in the Millennial generation as they’re already used to living in such places as they went to college and lived the high density life in campuses. The only ones who have it as a “tough nut to swallow” are those in the previous generations who do not understand the statistics that LA today is vastly different from the statistics of LA back in the 1950s, who still think the American dream is owning a big home out in the suburbs, with a front lawn and backyard, when they fail to realize that dream is unattainable here in LA today. We need to encourage higher density development all over LA. If anyone has a problem with this and against density, they’re free to sell their home and move away to Arizona. We surely could benefit from that by demolishing single story homes and start mass producing high rises all over LA. Another idea? Stop building apartments for rent and start building condos for sale. People don’t want to remain renters forever. How about allowing renters to buy their own place as a condo unit? Some people have been paying rent for over 10, 20 years and they should be allowed to own their unit by now. The problem with jobs in LA is that we traded one sector (well paying IT sector jobs) and sacrificed another (blue collar manufacturing jobs). Here in LA, the selfishness of the people, and irrational government policies that supported NIMBYism and union demands shoved away those manufacturing jobs away from our city and our state, as well as to other countries. CA and LA used to be the center of lots of manufacturing, from aerospace, film production, Chrysler (Commerce), Ford (Long Beach), ship building, power plants, electronics, beverages, food, etc. etc. LA also had the potential to become a West Coast financial hub competitive against San Francisco, and once even had our own stock exchange (Pacific Stock Exchange). LA also used to have several firearms manufacturers and also made stuff like grips, holsters, law enforcement gear, and LAPD were the major buyers of those items. 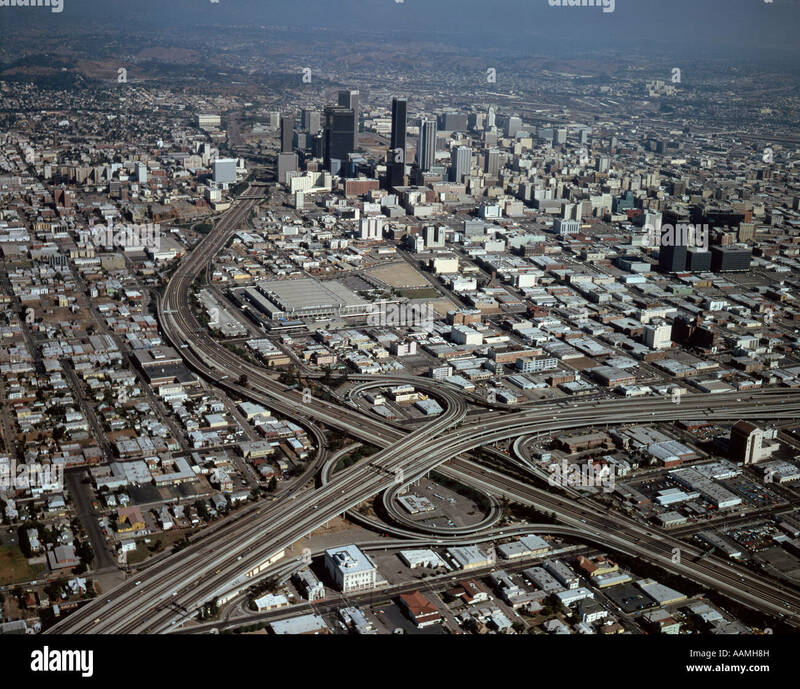 LA also had a quite a big steel, natural gas, and oil production industry as well. All those jobs are non-existent or have been dratically reduced to menial jobs at chain stores like McDonald’s, Taco Bell, Starbucks, Staples, BestBuy, Costco, Chipotle, Jiffy Lube, AutoZone, etc. Even bank tellers today are facing the crunch as more and more of their duties are being replaced by ATM machines that can do everything from depositing checks to transferring funds. The simplest answer to why there’s a income gap in LA? Look around the stuff that you own or around your office desk. Almost everything says “Made in China,” from your staple remover to your coffee mug. Nothing you own is Made in the USA, Made in California, or Made in Los Angeles. If you’re reading this, you’re guilty of this too because you’re staring at a monitor and using a keyboard/mouse and a computer that could be an American company like Dell or HP but the actual manufacturing is done in places like Thailand or Malaysia. If you’re reading this on a tablet or smartphone, you’re using an item made in South Korea or Taiwan. Even Metro is guilty of this; they’re using trains imported from Japan (Nippon Sharyo) or Germany (Siemens), they too use computers, and the vast majority of The Source photos are done by digital SLR cameras that are Made in Japan! The best we have is stuff that says “Designed in California, Made in China” or “Assembled in USA from foreign made parts.” And even that’s getting rarer. And you wonder why there’s more homeless people. Because we make absolutely nothing!! We make nothing, we have no manufacturing jobs, blue collar workers are out of a job! 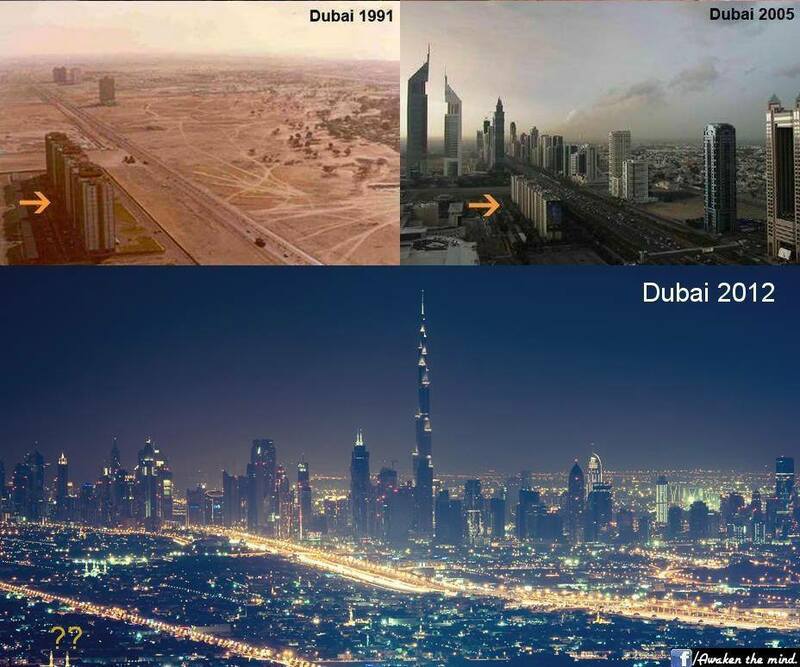 You can thank unionism and NIMBYism and irrational government policies for that.